The Northern Postdoctoral researchers meeting took place on May 28th at the School of Chemistry and Zochonis Building, The University of Manchester. This was the fourth of a series of events organised by the Chemistry Postdoctoral Society for the academic year 2014/15, included in the proposal funded by the Dalton Division Committee through the Small Grants for Scientific Activities scheme. The purpose of the meeting was to gather young scientists from the Northern and North-West region, giving the chance to showcase their research and offering also a great networking opportunity. The event was free to attend and saw the participation of around 70 attendants between Postdocs and PhDs coming from the University of Manchester, University of Liverpool, University of Huddersfield, University of Sheffield, University of Hull, University of York, and University of Leeds. Postdoctoral researchers selected from Northern institutions (Manchester, Huddersfield, Hull, Leeds and Liverpool) offered research talks which spread across a wide range of topics in chemistry. The quality of the talks and of the research presented was outstanding, leading also to a great interaction between the audience and the speakers. After the coffee break, the meeting was moved to the foyer of the School of Chemistry were the poster session took place, featuring over 30 contribution from Postdocs and PhD from various Northern institutions. At the end of the poster session, two prizes were awarded, sponsored by Dalton Transactions. The winner of the prize for the best postgraduate poster went to Luke Wilkinson (University of Sheffield), whilst the prize for the best poster from a postdoctoral researcher was awarded to Kevin Vincent (University of Huddersfield). In general, we received very enthusiastic feedback about the meeting. In particular, visiting postdoctoral researchers had high praises for the work of the Postdoctoral Society and offered to organise another event analogous to this in one year’s time. The meeting was kindly supported by the RSC Dalton Division and the School of Chemistry (UoM). Furthermore the Postdoctoral Society obtained additional support from Fluorochem, Sigma-Aldrich and TCI. Dalton Transactions was acknowledged during the opening and closing remarks of the conference; additionally the Dalton Transactions logo was included in the conference material. 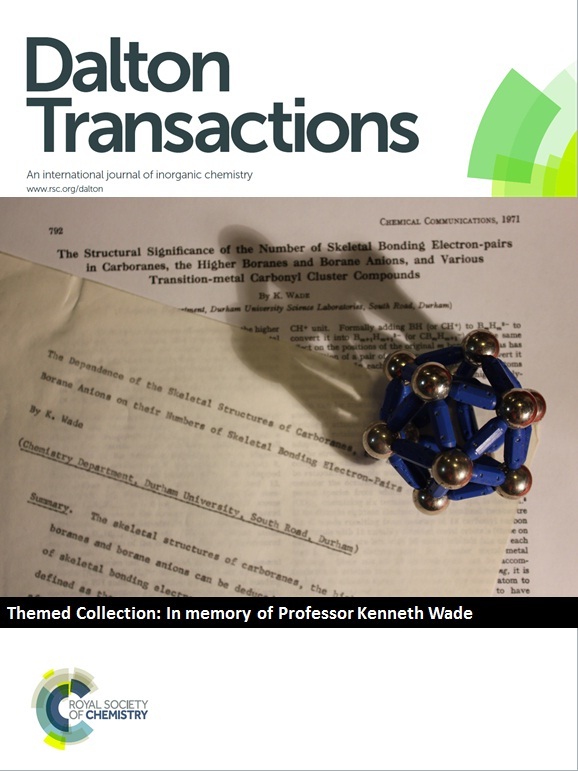 This themed collection of articles in Dalton Transactions is dedicated to Ken Wade, who very unexpectedly passed away on 16th March 2014. While this sad loss is the reason for this commemoration, it is an honour for me to write this preface. I had the pleasure and privilege of getting to know Ken personally during my student days at Durham, a relationship that continued when, much more recently, I became a colleague in the same Department. I first met Ken when, as a second year undergraduate, he introduced us to aspects of structure and bonding. Only after looking up the subject in the textbooks, did I realise that the relationships he was describing were in fact ‘Wade’s rules’. It is a vivid reflection of Ken’s humble and self-effacing character that he himself only ever referred to these rules as polyhedral skeletal electron pair theory (PSEPT) or even occasionally during his lectures or in discussions as “Blogg’s Rules”! Ken’s pioneering work exploring and explaining the structures of deceivingly unrelated clusters and ring systems, which developed primarily as a result of his insightfulness, logical thinking and intuition, now means that his name is familiar to every inorganic chemist, from undergraduate student to senior research professor. This work lead to the formalised relationship between structure and electron counting in polyhedral cluster systems: relationships that are known universally as Wade’s Rules (J. Chem. Soc. D, 1971, 792). This set of deceptively simple rules has been developed and expanded into what are known today as the Wade-Mingos Rules, which continue to be taught to chemistry students worldwide as a fundamental tool of Inorganic Chemistry. Ken’s research career started in 1954 when he began his Ph.D. at the University of Nottingham with Norman Greenwood, probing the addition compounds of gallium and boron trichlorides. This was followed by two postdoctoral positions: first at Cambridge with Harry Emeléus, working on “assorted reactions of diborane”, and second, at Cornell University with Albert Laubengayer, where he investigated various aspects of organonitrogen-aluminium chemistry. In 1960, Ken returned to the UK to take up his first independent academic position as a lecturer at Derby College of Technology, before moving north to take up a lectureship at the University of Durham a year later, where his interests in synthetic main group chemistry continued to expand. Although universally known for his electron counting rules, Ken’s innovative and creative character also led him to be major contributor to the areas of azomethine, lithium amide, organophosphorus, transition metal and organolithium chemistry, to name but a few. Ken officially retired in 1997 and, for the sixteen years leading up to his untimely passing, he remained in the Department holding an Emeritus chair of Inorganic Chemistry. Throughout his sixty-year research career Ken maintained a tireless enthusiasm and curiosity for chemistry, teaching, writing books and original papers, reviewing articles, attending chemistry meetings, and giving invited lectures around the world. Ken’s numerous contributions to the broad field of chemistry were recognised by his election to Fellow of the Royal Society in 1989, and by his election to President of the Dalton Division of The Royal Society of Chemistry in 1996. On top of all these achievements, Ken’s enormous abilities as a teacher and leader must not be forgotten. His lectures were always inspiring, and were characterised by being both simple and clear, while delivering a broad spectrum of inorganic chemistry topics. 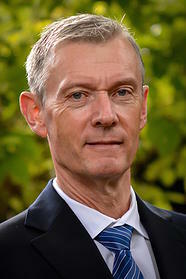 Every lecture was punctuated by anecdotes and amusing stories – who can forget the colour-blind English spy in Russia – and always demonstrated Ken’s ability for clear, logical thinking, something he continually encouraged and inspired in others, be it through undergraduate tutorials, questions after seminars, or chats in the corridor or around the whiteboard. This themed collection of papers of 60 papers in Dalton Transactions covers a wide and diverse spectrum of topics spanning inorganic chemistry, something that very clearly demonstrates Ken’s significant and wide-ranging contributions to inorganic chemistry in its broadest context. The rapidity with which all of the invited authors agreed to contribute their work to this special collection of articles unmistakeably reflects the great esteem and friendship with which Ken was held, and provides a fitting tribute to the man himself, his huge role as a teacher and mentor, and his important and extensive contributions to chemistry… Without a doubt, Ken is very sorely missed. 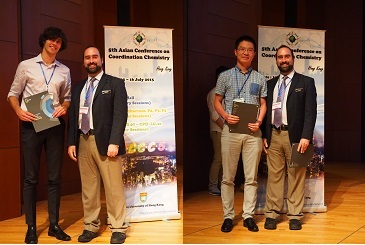 Many congratulations to the Dalton Transactions Lectureship and Poster prize winners who were awarded at the 5th Asian Conference on Coordination Chemistry (ACCC5) which took from the 12th – 16th July 2015 in Hong Kong. Recipients of the Lectureship were: John Nitzchke, David Parker and Philip Mountford who is currently the Editorial Board Chair for Dalton Transactions. The conference is one of the largest regional conferences in Asia; focussing on the area of coordination chemistry and providing a forum for inorganic and coordination chemists to meet and discuss ideas on the most frontier research topics as well as an opportunity to present their most recent research findings. You are currently browsing the Dalton Transactions Blog blog archives for November, 2015.